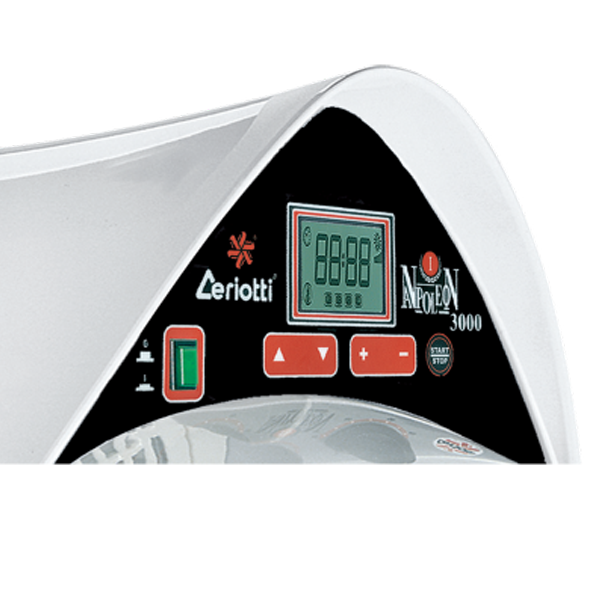 The NAPOLEON 3000 DIGITAL OZONO with a brand new armour-plated double-ring heating element to offer you maximum performance with maximum safety. 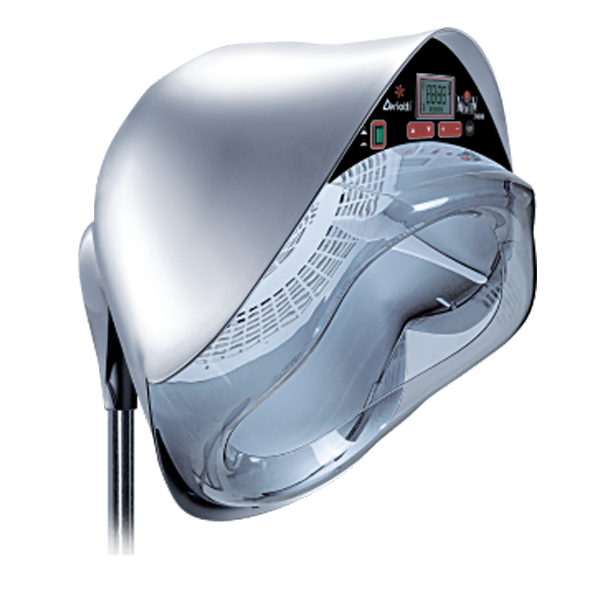 This is the only hood dryer offering great capacity, comfort and freedom, by allowing you to carry out all technical hair-setting in less time and with excellent results. Tinting – Dyeing – Bleaching – Hair colour removal – Gentle permanent wave – Permanent wave – Straightening – Curative treatments. Drying with free hair and with curlers (UP TO A ~ 70 mm DIAMETER) with or without net. 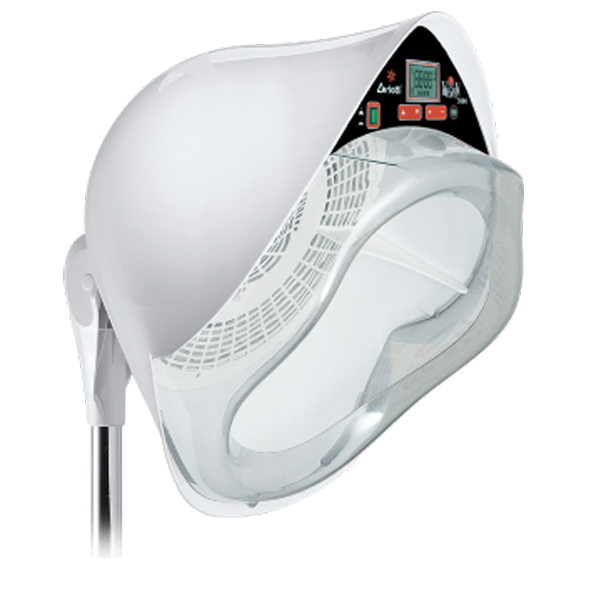 Upon request, hood with guided shower-jet airflow, designed not to disarrange hair setting. 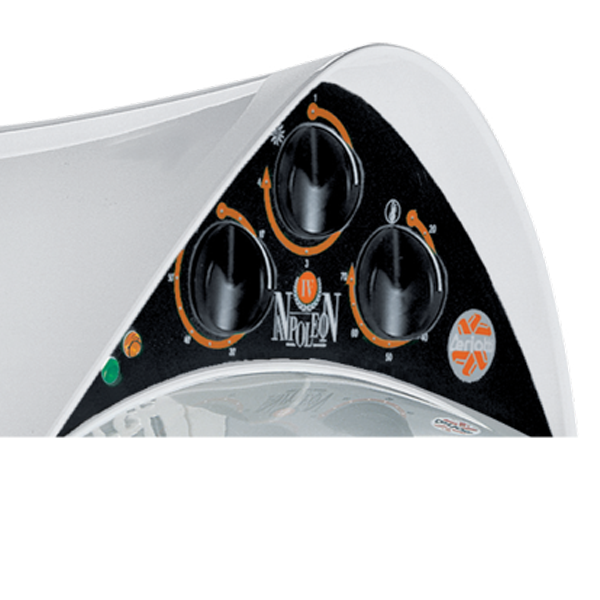 Napoleon 3000 Ozone – Completely digital with timer, electronic thermostat with absolutely accurate internal sensor; new 4-turbo-speed motor, electronically regulated from 600 rev/min to 2000 rev/min, liquid crystal display showing all settable functions and instantaneous temperature inside the hood. Possibility of choosing among 9 pre-set programs, which can be completely changed at any time, also during the process. 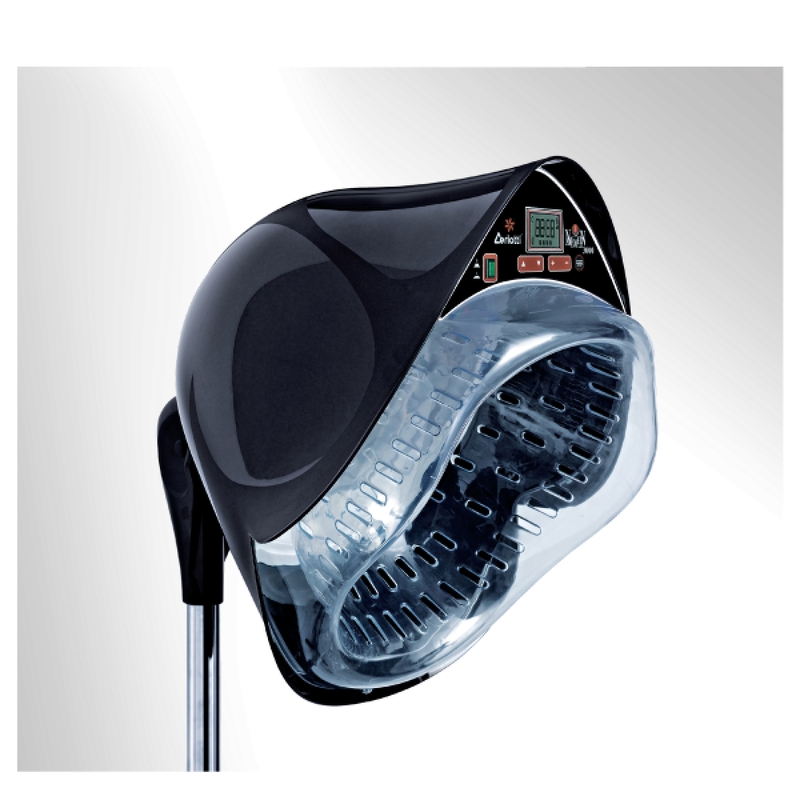 Complete with ozone-generating lamp, thanks to which a sterilizing effect on skin and a reduction in setting time can be achieved. 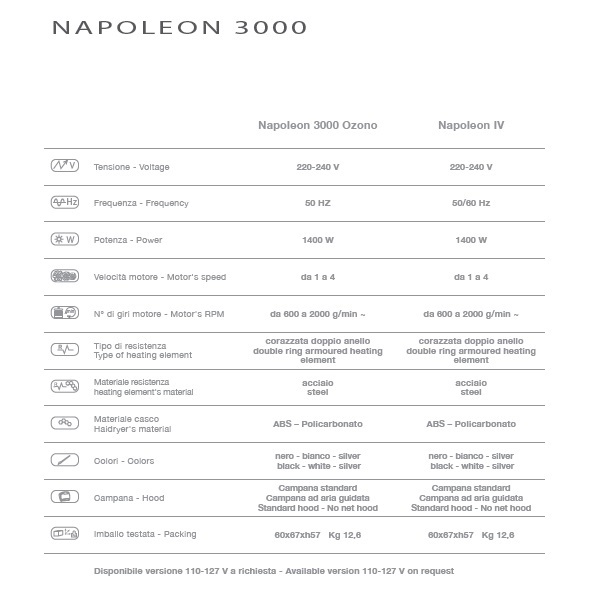 Napoleon IV with timer, adjustment thermostat with internal probe, operation light and temperature control light. New 4-turbo-speed motor. 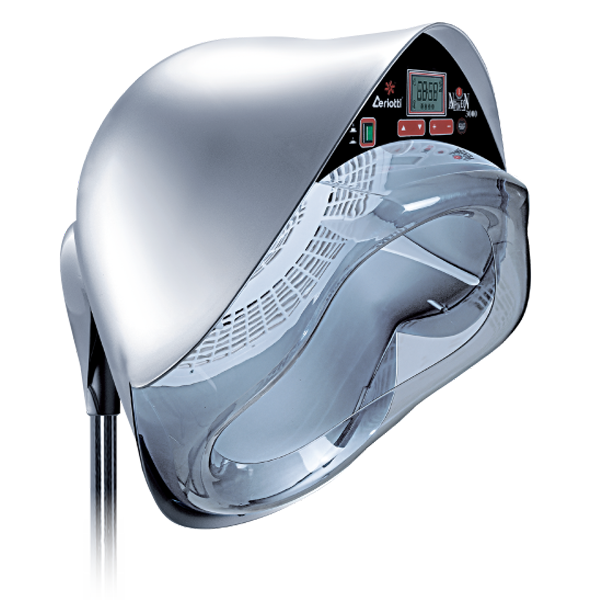 Have the most stylish salon around with this high quality, modern salon and stylist steamer straight from Italy. This is probably the most advanced and complete steamer in the world!! 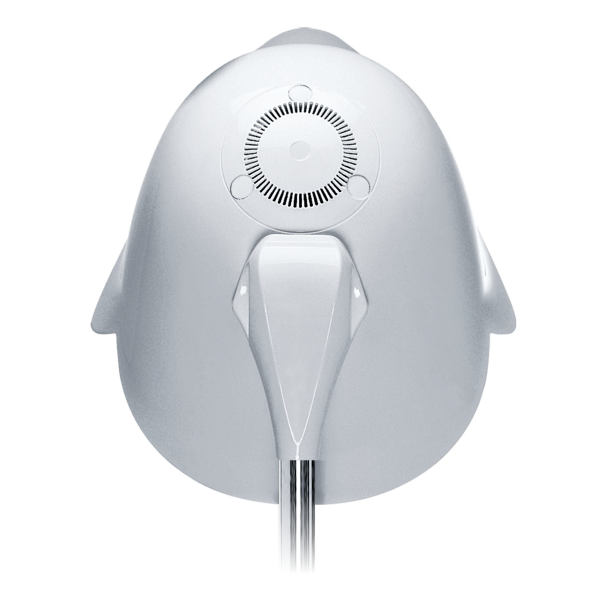 The sophisticated and endearing design draws a new limit to creativity; characterized by the firm lines and the ergonomic shape, X-STEAM is born to satisfy the everyday needs of the stylist because it is highly functional and beautiful.